The complete guide to understanding picture frames and which ones will best fit your photos and art when ordering frames online. 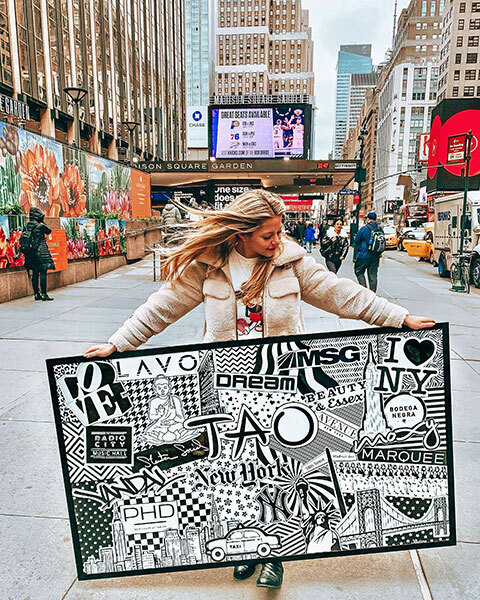 Have you ever purchased a piece of art or taken a photo that you intend to frame in your home, but aren’t quite sure where to start? With all the mathematical nuances and abundance of aesthetic choices, it can be difficult to know which option is best. 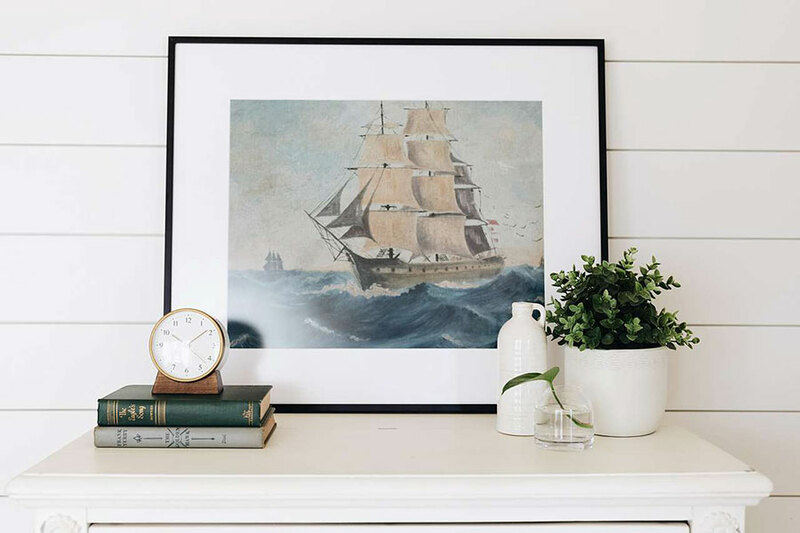 In this comprehensive guide, we’ll take you through the seven key things you should consider when choosing the perfect picture frame for your art or photo. Also, you will get our weekly newsletter that includes informational content and discount codes on our custom frames. 01What Art Are You Framing? Of course, the main thing to consider when looking for that perfect custom picture frame is what you’re framing — as well as its purpose and how important it is for you to protect it. Does what you’re framing have special meaning? Is it irreplaceable, thus you don’t want to risk someone else handling it? Where will it be hung? What style frame do you want? Do you expect it to be framed forever? Is it art you already have, or do you need it printed and framed? 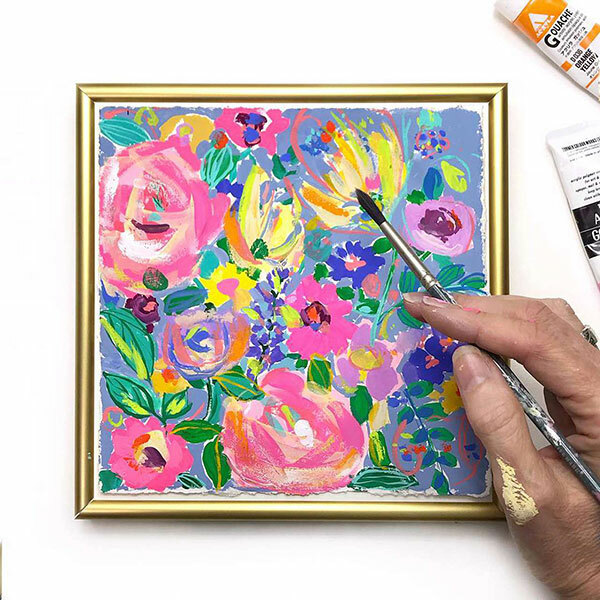 If you have something trivial or unimportant that can be cut to size, or only needs to be temporarily framed, your best bet might be to purchase a stock, standard size frame at almost any major retailer. Just know that many of the components of said frame (which we’ll get into below!) are not necessarily made to last a long time or fully protect what’s inside. For anything that has value to you and/or comes in a non-standard size, custom picture framing is definitely the way to go, as you will have more flexibility in the options you choose. The type of art you have will also impact what kind of frame you look for — for example, if you have a digital photo, you’ll want to make sure you find a framer that can print as well as frame; If you already have a piece of precious art you’ll want to see if you can either order a frame to fit or bring/mail your art to the frame shop, or if you have a thicker item such as wrapped canvas or a jersey you’ll want to look for a deeper shadow box frame. How big or small your art is can affect what framing options are available, so taking into consideration your art’s size is also key. For example, most framers have minimum and/or maximum sizes they can accommodate, so if your art is very small or large, you might need to shop around. *Helpful hint: Adding matting to smaller artworks is usually a way to bypass certain minimum frame size limitations. Speaking of size, making sure your art is measured correctly is probably the most important step in the framing process. If your measurements are off, the entire frame will be off, so accuracy is key. A great looking frame isn’t worth much if it doesn’t perform the function it’s made for— holding your art! For art you already have, you should start by placing it in the correct orientation of how you’d like to view it, then measure the width and height of your art (as well as its thickness). Also be sure to note the unit of measurement you’re using, since measuring in centimeters is very different from measuring in inches. 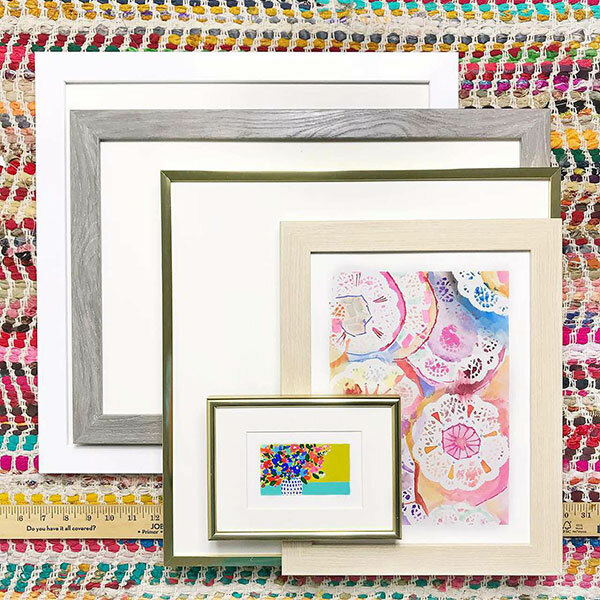 Here at Frame It Easy, we can frame any thinner art from 5″x5″ up to 42″x62″. Our Metal frames have room for artwork up to 1/4″ thick. (This includes matting, so if your frame has a single mat the artwork shouldn’t exceed 3/16″ thick and if it is double matted the artwork shouldn’t exceed 1/8″ thick.) The spring clips that hold your art into the frame will adjust perfectly as long as your art doesn’t exceed this thickness. Our Wood frames have room for artwork up to 1/8″ thick if they have no mats or one mat, and up to 1/16″ if they have two mats. For more information on art measurements, check out our blog post, How To Measure Your Art For Framing (And Get The Best Results). For digital art and photos you need printed, you generally have some flexibility on what size you want it to be. The higher resolution the image, the bigger you can have it printed without losing quality. You’ll also want to be sure your art is printed on professional equipment with proper color calibration for best quality. 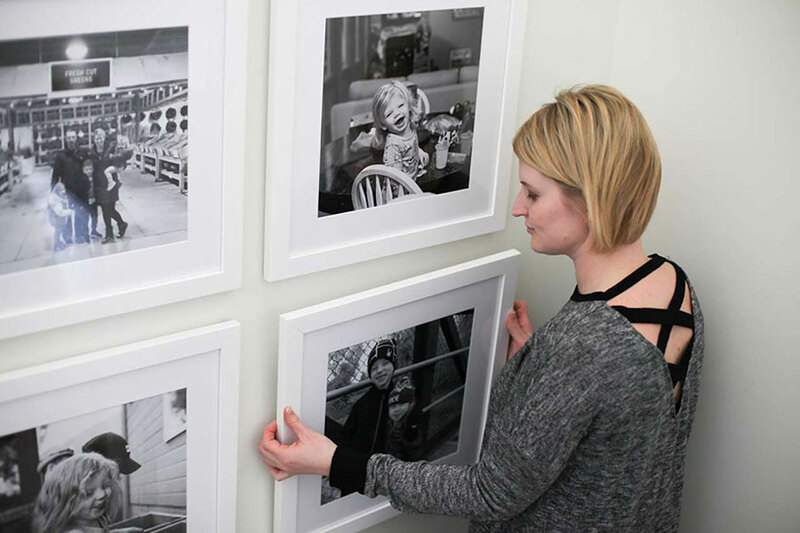 Here at Frame It Easy, we can print any digital photos or art, which means your frame will arrive ready to hang! We use a wide format, professional grade photo printer that can print up to 2880x1440 DPI. We also use archival ink on premium semi-matte photo paper, which is heavy and sturdy, and has a very slight, satin-like sheen to it. For more information on sizing digital art, check out our blog post, How to Format Photos for Online Framing and Matting. Solid wood, tends to be the most expensive and high maintenance material, as well as the least “eco-friendly” option. Medium density fiberboard — MDF — is one of the more affordable options. Since it is a recycled wood material, made of what is essentially sawdust compressed with some type of binder and wrapped for a uniform finish, it is often the most ecological choice. It’s also easy to care for. Finger-jointed poplar tends to be the best middle ground between solid wood and MDF. While still a recycled wood material like MDF, it’s closer to solid wood since it is made from leftover wood pieces that are bonded and joined together. Here at Frame It Easy, we offer a finger-jointed poplar material for our wood frames. This eco-friendly approach allows us to ship a sturdy, high-quality, consistently colored natural wood frames (without requiring any additional trees to be cut down! Most metal frames are made from aluminum, a lightweight material that can be extruded, molded, and colored. First, an aluminum billet (basically an aluminum log) is heated to almost a thousand degrees and forced (using 750 tons of pressure!) through a die shaped like the style being created. The newly extruded aluminum is then placed on a “stretcher” where all imperfections are removed. Finally, the aluminum is either anodized or powder coated, converting the surface of the material into a decorative, durable, corrosion-resistant finish, meaning these frame rails are extremely rigid and high-quality. For more information on both wood and metal picture frames, check out our post, Wood vs. Metal Picture Frames: Which Should You Choose? Matting — also referred to as “Mat(s)” or “Matboard(s)” — is a decorative lining that you put into your frame. It can compliment or contrast a color in your piece that you want to stand out, or it can simply give your display an elegant dynamic. The addition of a matboard would make the overall dimensions of your frame larger, as the opening of your matting would then become the window through which you view your art. We recommend the opening of your matboard accounts for a 1/4″ overlap* with the edges of your art — this will avoid gaps between your artwork and the edge of the matboard, which would cause your art to “fall through” and/or expose the backing. Here at Frame It Easy, our online frame designer automatically accounts for a 1/4″ overlap when you order a frame (with or without matting). Simply enter the exact size of your art, and we will take care of the math! Remember that when framing, everything is doubled; two measurements account for four sides. So if there’s an adjustment you’d like to make in regards to overlap, be sure to double it. *If you have important details near the edges of your art, however, you’ll want to enter an artwork size that is 1/4″ larger in each dimension than your art. (So for example, if your art was 10″ x 10″, you would use an art size of 10 1/4″ x 10 1/4″) This way, we’ll send you a frame that only covers the artwork by 1/8″ on each side, which is the smallest overlap possible without the artwork revealing the backing behind it on at least one side, or “falling through” the mat opening. Cardboard is a strong, lightweight material that seems to inconspicuously permeate our society. Both aforementioned traits have made it highly sought after as a means of packing boxes, and other utility functions. Corrugated cardboard used to be a highly used component for frame backings, but now it’s not as desirable because of its high acidity — Over time, acids in various materials can corrode or damage art, so it’s important most of your picture frame components be acid-free. So if you intend on protecting your artwork and preserving it for years to come, cardboard is probaby an archaic and hazardous backing material choice. Plastic usually results in double sided frames, which don’t have a “back,” but either side can be designated as such. Plastic has a lot of the appeals of cardboard, such as high durability, low cost, and lightweight. IIf you’re interested in framing your art with this type of backing, we recommend that you use archival plastic. This means that it is acid free and built to display art for many years. If it isn’t archival, there’s a good chance that it could degrade your art overtime. Foamcore is the most used of the three backing types, and it is the one that we use here at Frame It Easy. Like the previously stated materials, foamcore is lightweight and also easy to cut, making it ideal to suit any size artwork. Foamcore can also be acid-free, which is what we recommend. The main theme from the three above sections is clear: whether or not the backing is acid free in order to preserve your art. Many mass produced commercial frames sold at retail stores are made with acidic components, which can degrade your art over time. Your frame itself, at the end of the day, is replaceable; a precious photo or piece of artwork is not. The backing should protect your work, not harm it. 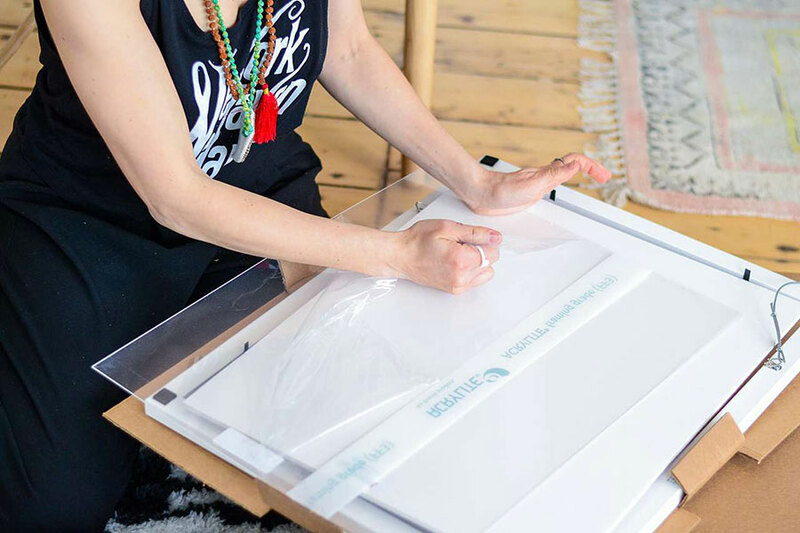 When you order a frame here at Frame It Easy, we use acid-free foamcore — it is buffered with an alkaline solution, which helps to combat the acids found in most printed artwork and slows down the rate at which the artwork damages itself. If you have us print a digital photo for you, we use a premium foamcore backing — there is no need for it to be acid free as the digital print itself is mounted directly to the board. The cover is another key part of any frame, as this is what allows you to view your special art inside! Just as the backing should protect your art, the cover should, too. Covers for frames are typically made of one of two types of material — glass or acrylic. Glass is probably the most traditional frame cover choice, though it is also the most fragile. While it is less susceptible to scratching, it is still more susceptible to breaking. Acrylic is quickly becoming the new popular picture frame cover choice, as it is not only more durable, but lighter, too. The final thing to consider when purchasing a cover is what finish you prefer. There are two main options, both of which have different looks. First, there is the clear finish, which is the most conventional, and would be ideal for most art. As the name suggests, it would be crystal clear, like looking through a window. The second option is non-glare — this will lightly diffuse and soften the color of your artwork to prevent extreme glare from direct light sources. Here at Frame It Easy, we exclusively use acrylic, and offer it in two types: clear and non-glare. Our ACRYLITE® Clear Acrylic offers the beautiful clarity of the finest picture frame glazing at half the weight of glass and many times the impact resistance. Additionally, it blocks some ultraviolet light. It is the preferred material for larger framed art and provides the safety warranted in high traffic areas. It is the ideal glazing material for museums, galleries, and homes. Our ACRYLITE® Non-Glare Acrylic has all of the clarity, impact resistance, and ultraviolet protection of our Clear Acrylic, but with a very fine matted coating which elegantly diffuses light and reduces reflections. For more information on the differences between covers, check out our post, Acrylic vs. Glass Picture Frame Covers: Which Is Best? Once you’ve considered all of the above items, now it’s time to find a place that can provide the service and materials you prefer. Buying a custom frame in person is the traditional option, though it is more costly, both in time and dollars. The benefit here, though, is that you get to see all the products laid out in front of you, so there’s no possible chance for a miscommunication about what you’re getting. That said, local framers tend to be more expensive, and it is more time consuming to get in your car and go to the location multiple times, rather than ordering from your phone or computer. You also have to be comfortable with leaving your art in someone else’s hands for a period of time. Much like a local shop, online custom framing sites specialize in creating products that you couldn’t buy in a standard size. The lead time and cost can vary greatly depending on the site, and buying online means the cost of shipping is an additional factor in the overall price (whether a company chooses to bake it into a “free shipping” model or add it as an additional line item). We also custom make each and every shipping box, so you can be sure your frames arrive as safely as possible. Ok, now you’ve got your art looking good in a frame sized & styled perfectly, so now it’s time to get it up on the wall! Both the hardware you use and the location you choose are equally important to hanging picture frames like a pro. For some inspiration on what to frame, check out our 25 Personalized Picture Frames Ideas. For tips on designing a wall of frames, check out our post on Creating a Wall Collage of Picture Frames. Once your frames are up and looking fab, caring for them is a simple matter of occasional maintenance. 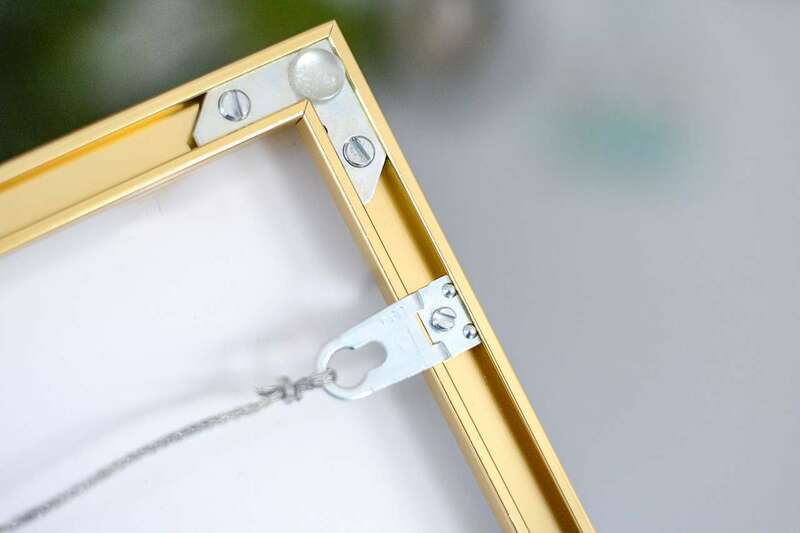 Here at Frame It Easy, we include all hanging hardware necessary to hang your frame(s). We mainly include hanging wire, brackets, and a hook and a nail. Larger wood frames will come with supporting wall brackets, which are meant to prevent the material from bowing. In addition, large metal frames will come with a support wire, also meant to prevent bowing. Always make sure your art is measured correctly before trying to frame it. If your artwork is over 1/4″ thick, go with a shadow box frame. If your artwork is under 1/4″ thick, a regular picture frame will suffice. MDF or Finger Jointed Poplar are most cost effective and easiest wood frame styles to maintain, as is aluminum for those seeking metal frame styles. Glass frame covers are heavier and more fragile, but acrylic frame covers are more durable and shatter resistant. 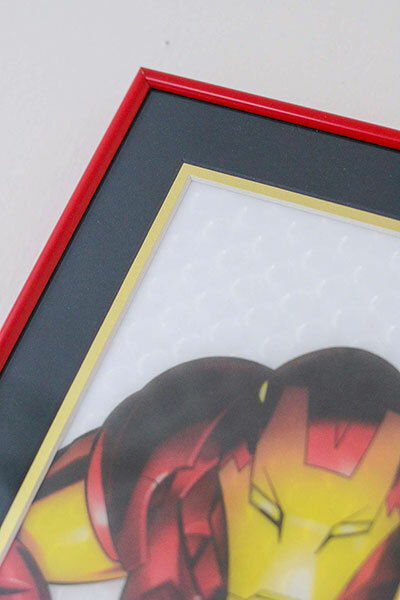 Be sure to use foamcore as a backing for framed art; never use acidic cardboard. D-Rings & wall brackets help make your picture frame lay flat against the wall. Ordering custom picture frames online often saves time and money.